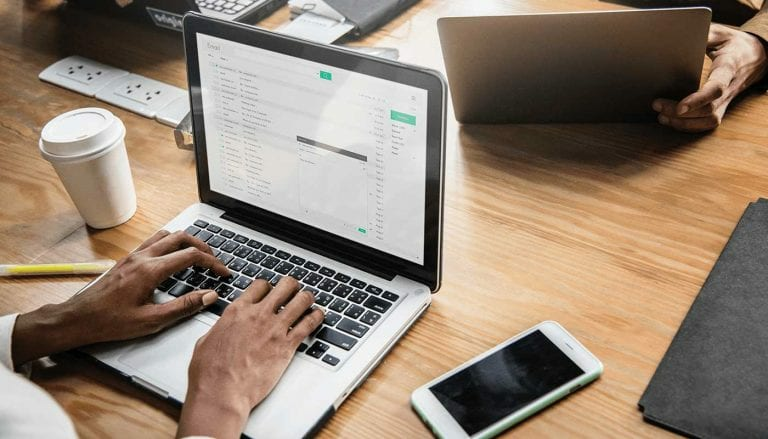 Whether you’re starting a new business or expanding your marketing efforts, one of the most crucial items on your to-do list should include building a strong email list. By strengthening your email marketing, your reach will grow exponentially. In this blog, Front Porch Solutions will teach you how to build your email list from scratch. 1. Choose your email service provider. When you create an email list, you’ll need software to organize customer email addresses, create and send your email campaigns, and to segment your audience. There are plenty of free tools out there to help with this, such as MailChimp and ConstantContact. Having a reliable email service provider is imperative to have a successful email marketing campaign. These tools allow you to track the performance of your emails, so you know what works and what doesn’t when it comes to getting your audience’s attention. 2. Create an engaging offer enticing your audience to sign up for emails. Most people are reluctant to give their email address out – and understandably so. Their inboxes are full of promotional emails already. To help bypass any hesitation, create an appealing incentive for your audience to reward and thank them for signing up for your emails. Consider offering a discount on a purchase, a free eBook, or something else that provides value. Promote an offer that’s on your website. You just created an offer, so why not promote it? Encourage your social media followers to go to your website and sign up for your offer. Keep in mind that your social media audience may not be the same as those subscribed to your emails, so give them a chance, too. Have a CTA (call to action) button on your Facebook page. An easy way to build your email list is to add a CTA button on your Facebook page or post that encourages followers to sign up for your emails. Your social media followers already show an interest in your content, so give them an option to receive more of your content directly in their inbox. 4. Create more landing pages. Sites that have more than one landing page are proven to increase leads by 55%. Having more landing pages means welcoming more opportunities to obtain leads. To build your email list, it’s best to create personalized landing pages to target your audience. Consider creating landing pages for your most popular products or services to attract a variety of different audience members. Once your pages are optimized for select audiences, you’ll likely see an increase in leads and subscribers. 5. Create a way to opt-in on existing pages on your website. The goal is to make it as easy as possible for your audience to sign up for email promotions. Consider adding a CTA or form they can click on to making signing up easier. If they’re already filling out a form on your website, they most likely enjoy what you have to offer. Starting an email list from scratch can take quite a bit of time and energy, but in the end, every business needs a healthy email list to help them grow. Having an email list allows you to communicate with your customers directly. There’s no need to worry about SEO or algorithms because your message is going straight into their inbox. If you’re interested in growing your email list and email marketing efforts, contact the Front Porch Solutions team today to start building your audience.